It is with the deepest sadness that we share with our members news of the death of our President, Nancy Hoggson. Nancy passed away January 9 after a brave 18-month battle with cancer. For over ten years she has volunteered countless hours of service for the Society; for the past five years she served as President. She was a truly inspiring individual whose many accomplishments stand in enduring testimony to her leadership and hard work. The Society is greatly indebted to her. She will be sorely missed as a leader, colleague and friend. Please view a full obituary here. Nancy’s family has asked that in lieu of flowers, memorial contributions may be made to the Norwich Historical Society, P.O. Box 1680, Norwich, VT 05055. The NHS Board of Trustees will be considering an appropriate way to honor Nancy’s contributions with a lasting way at the Society. If you would like to make a donation on-line, please click here. Nancy was honored with the annual NHS Volunteer of the Year Award at the Society’s Annual Meeting on February 1. A PDF of the award may be viewed here. Nancy (left) presided over Norwich’s 250th Anniversary Celebration in September, 2011. 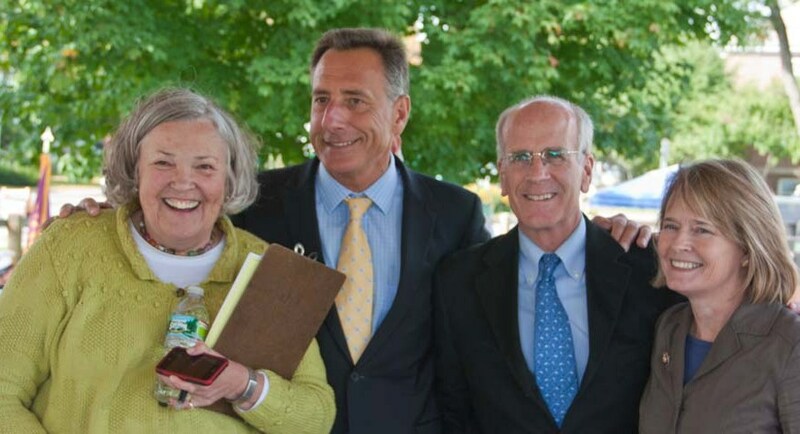 Pictured here with Governor Peter Shumlin, Rep. Peter Welsh and then State Rep. Margaret Cheney. The Norwich Historical Society wishes to thank all those who chose to remember the late Nancy Hoggson with memorials gifts shortly after her death in January. 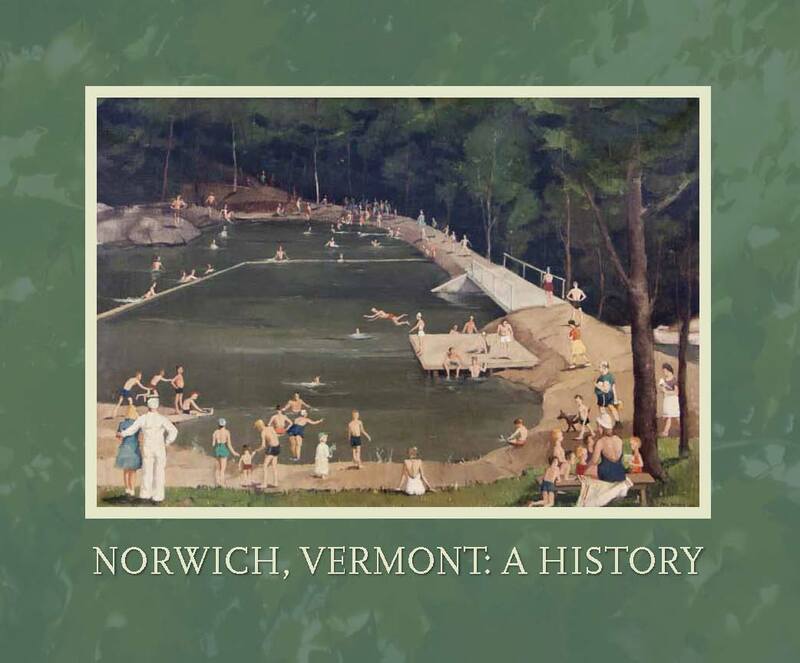 Nancy led the Norwich Historical Society for many years, first as consultant, then trustee, and for five years, as President, and she was committed to many other worthy causes in the community. Her presence, spirit and good humor will be sorely missed.